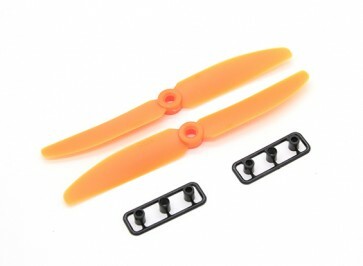 GemFan Propellers have set the gold standard in the small class Multirotor community. Known for their durability, great balancing and superb hub centering and expendable price. They come packaged as a set of 2, with one CW rotation and one CCW rotation. There is a wide range of color options that can be mixed and matched to help with multirotor orientation. This is the perfect upgrade for any small multirotor.